We found Hattie after she had given birth to nine puppies in an abandoned building. With nowhere to go Hattie and her puppies were trying to survive, while squatters wanted to kick them out of the building and drown the puppies. 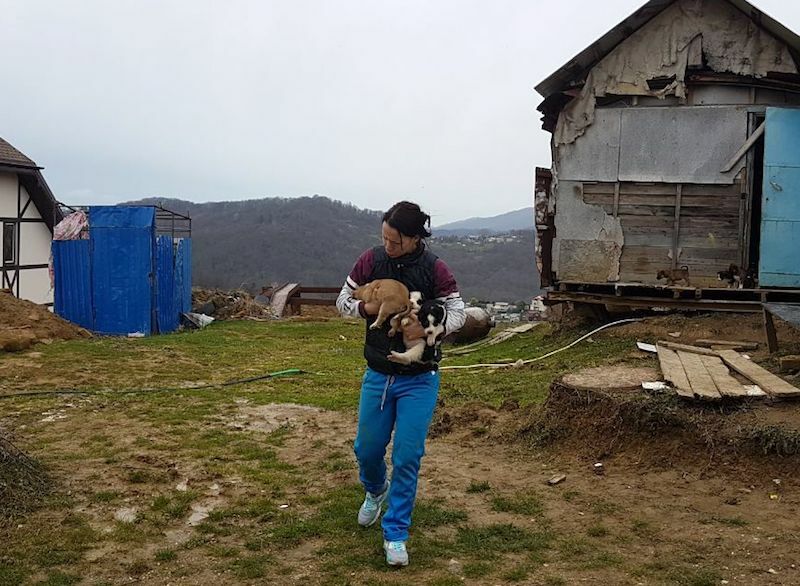 Masha, our shelter caretaker came across the building by accident and when she heard the story and what might happen to the family, she gathered up the puppies and Hattie and drove them to the shelter. The entire family is safe now! Hattie is spending time getting to know the older shelter residents while her puppies are growing and playing in the puppy playpen. Thanks to you and our amazing community we are able to provide Hattie and here puppies with the care they need until they are ready to find the forever families.